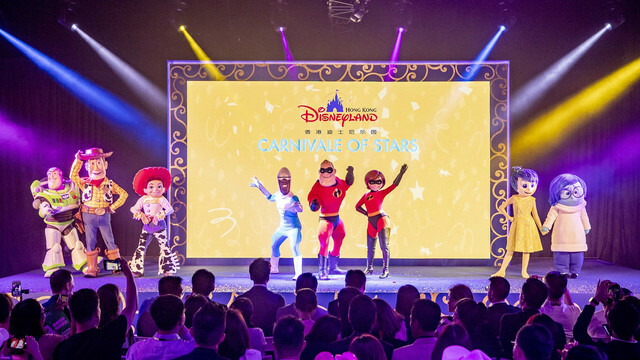 Hong Kong Disneyland Resort (HKDL) has launched its first-ever “Carnivale of Stars” today, bringing on a rich line-up of excitement throughout spring and summer! 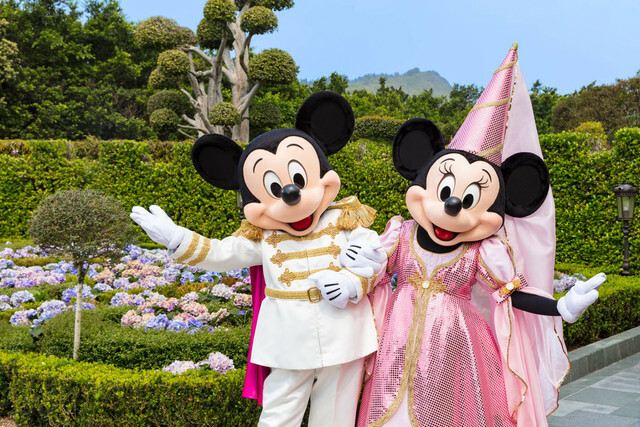 The extended seasonal treat starts with Springtime celebrations today and will last till June 20, with a host of beloved Disney friends filling every day and night with Disney Magic. 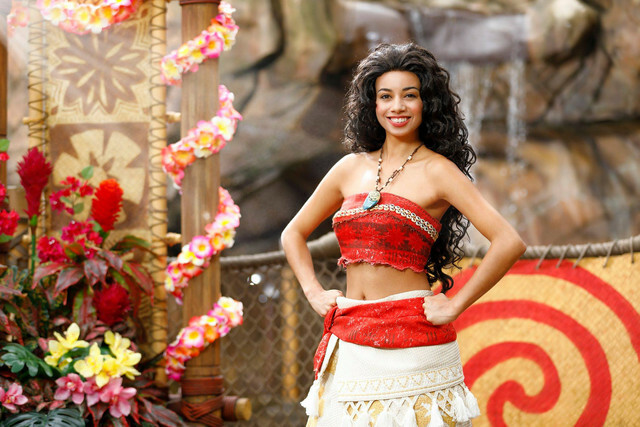 Brand-new spectacular offerings, including the “We Love Mickey!” Projection Show, the African-style Karibuni Marketplace and the atmosphere stage show “Moana: A Homecoming Celebration,” ensure guests enjoy an extraordinary Disney carnival starting from the new season of the year! Hong Kong Disneyland Resort - 15 mars 2018. Rencontrez Mickey et Minnie (et d'autres Disney Stars) à Fairy Tale Forest avec le Disney Star Pass ! Disponible à six dates uniquement (6, 14, 18 et 27 avril, 1er et 6 mai), à acheter le jour même dans les boutiques Merlin's Treasures ou Storybook Shoppe à Fantasyland au prix de 229 dollars hongkongais. 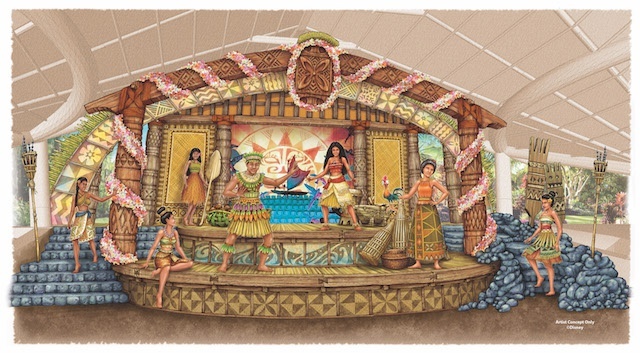 Le Disney Star Pass donne également droit à soit un emplacement de choix pour suivre le Disney Friends Springtime Processional, soit un accès prioritaire au spectacle Festival of the Lion King. Karibuni Marketplace est officiellement ouvert ! 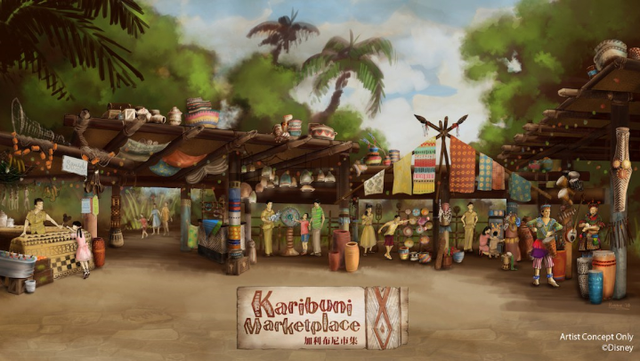 Named after the Swahili word which means "welcome" HKDisneyland's new Karibuni Market is now open! 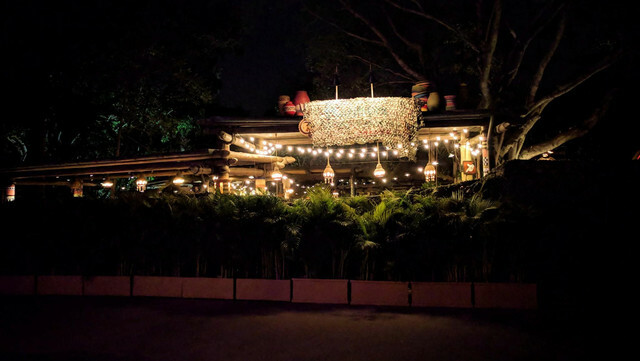 Come visit this African-inspired trading post in Adventureland to enjoy interactive games, shop for unique souvenirs and try some exotic snacks. 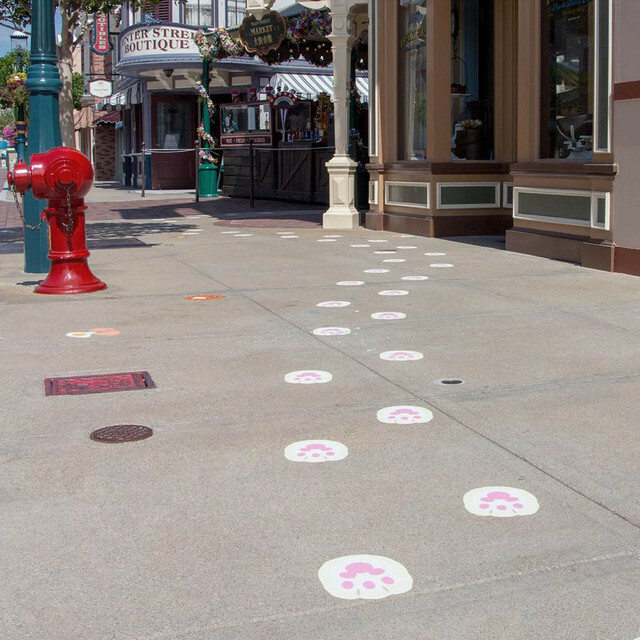 Be sure to add this spot to your must-visit list when you head to the park this spring ! Hong Kong Disneyland Resort - 30 mars 2018. Le parking réservé aux autocars accueillera des concerts en plein air dès le mois prochain : MAYDAY 2018 LIFE TOUR est programmé du 4 au 6 mai et du 11 au 13 mai 2018 (concerts à 19h15). 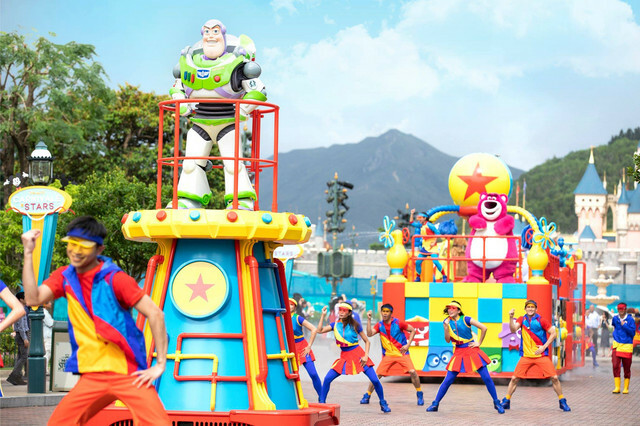 Lors des concerts, le site est officiellement renommé Hong Kong Disneyland Fantasy Road Outdoor Venue. Karen Kwan, Business Solutions & Events Director Hong Kong Disneyland Resort, ambitionne d'attirer d'autres chanteurs et groupes musicaux à se produire dans le futur à Hong Kong Disneyland Resort. 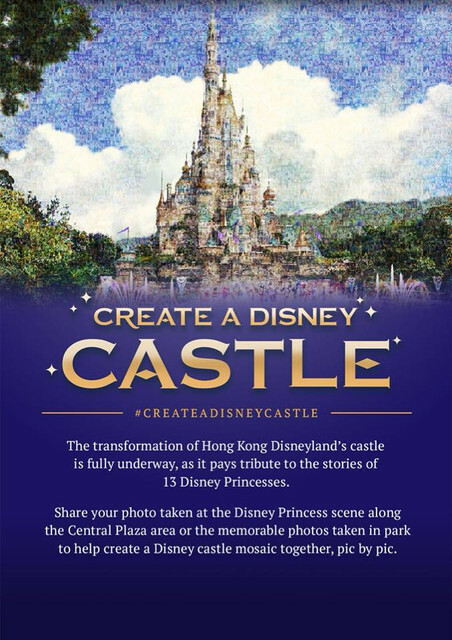 Ces actions ponctuelles devraient amener à Hong Kong Disneyland Resort des fans en provenance de Taiwan, de Chine Continentale mais aussi de pays plus éloignés, ce qui devrait profiter non seulement aux trois hôtels Disney du resort mais aussi au Parc à thème grâce à la vente de forfaits comprenant une nuit en chambre double à l'hôtel choisi, deux billets d'entrée au concert, 2 billets d'entrée au Parc Hong Kong Disneyland pour deux journées, un Disneyland Attraction Priority Pass, 15 % de réductions dans les restaurants et 20 % de réduction dans les boutiques. Les prix des billets pour les concerts sont vendus de 680 à 1.180 dollars hongkongais suivant l'emplacement. Le nombre de forfaits est limité, les réservations débutent demain à 10h00 (heure locale). 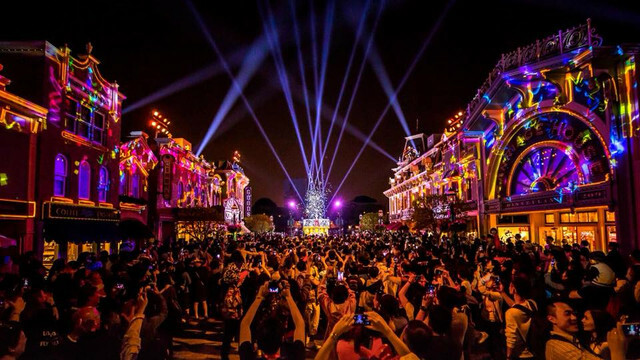 Hong Kong Disneyland Fantasy Road Outdoor Venue. 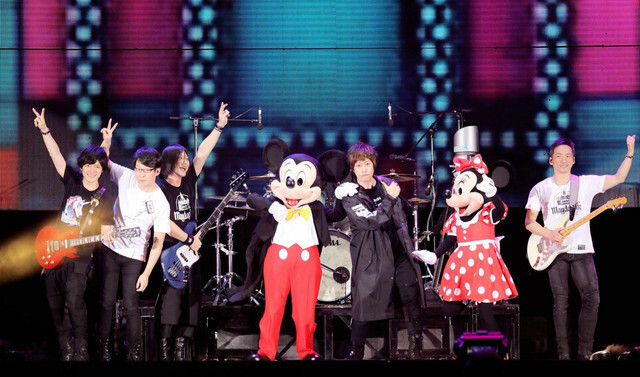 Popular Asia rock band Mayday, which has a strong fan base in Hong Kong, mainland, Taiwan and the region, will host six concerts of 【MAYDAY 2018 LIFE TOUR – Hong Kong 】 from May 4-6 and 11-13, 2018 at the Hong Kong Disneyland Fantasy Road Outdoor Venue (Coach Park). 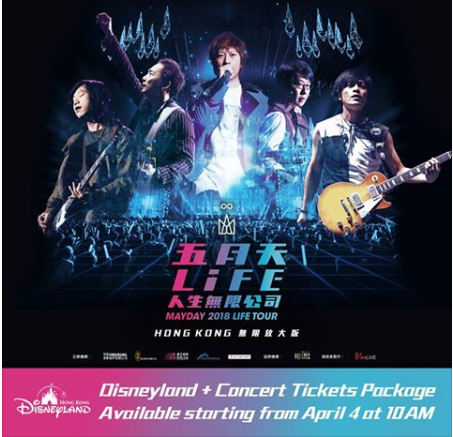 This will be the first time Hong Kong Disneyland Resort (HKDL) provides a venue for a series of large-scale outdoor concerts and these will be Mayday’s first-ever large-scale outdoor concerts since they first performed in Hong Kong 12 years ago. Each concert can accommodate an audience of around 20,000 people. 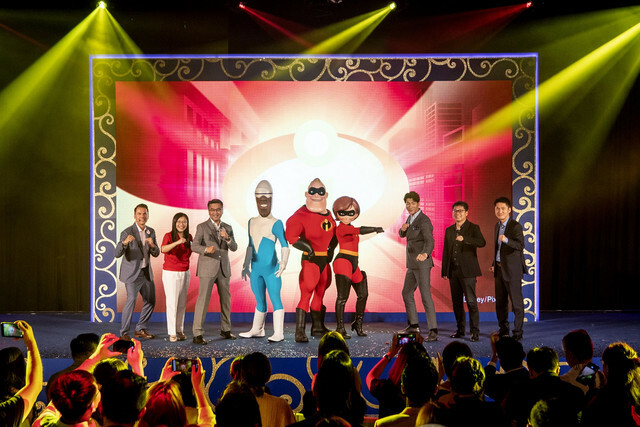 Kwan added that HKDL will continue to explore other exciting events such as the Mayday concerts to take advantage of the comprehensive resort facilities, complete with a theme park, three hotels, as well as indoor and outdoor venues. 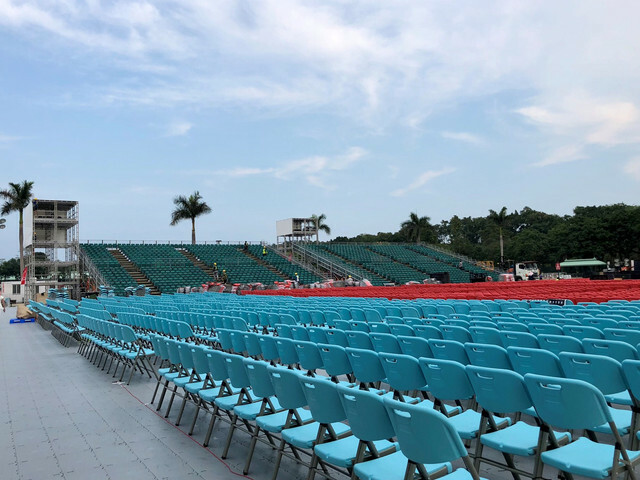 With the new Hong Kong Disneyland Fantasy Road Outdoor Venue (Coach Park), event organizers now have one more choice for large-scale outdoor events. 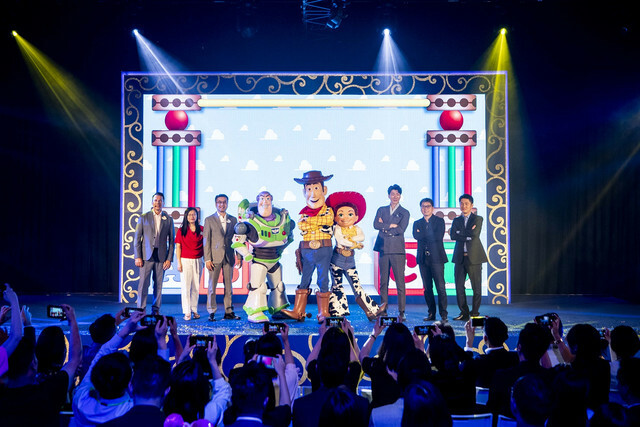 This will help boost the development of Hong Kong’s entertainment industry and its appeal in Asia. 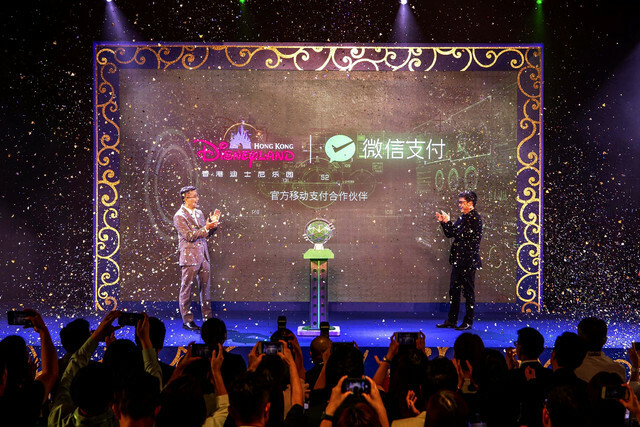 It also positions Hong Kong amongst international and regional organizers as a MICE destination, and further reinforces the positioning of Hong Kong as the event capital of Asia to attract more visitors to boost the city’s tourism industry. 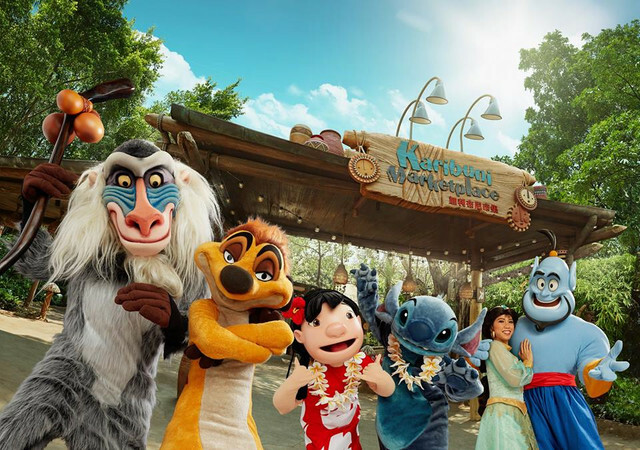 Meanwhile, HKDL has debuted “Carnivale of Stars” bringing a rich line-up of new offerings and a host of beloved Disney friends to fill every day and night of spring and summer with endless Disney Magic. 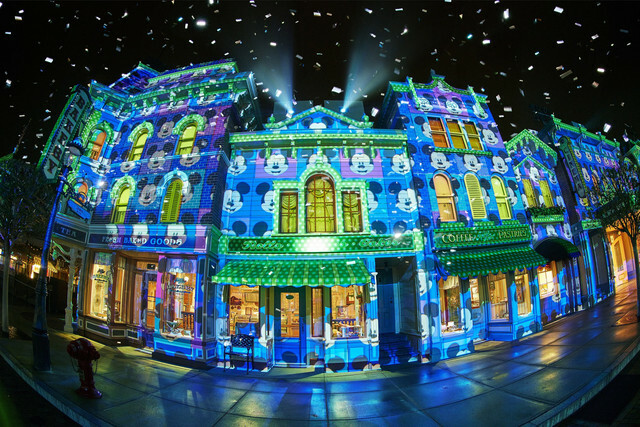 Brand-new spectacular offerings include the “We Love Mickey!” Projection Show, the African-style Karibuni Marketplace etc. 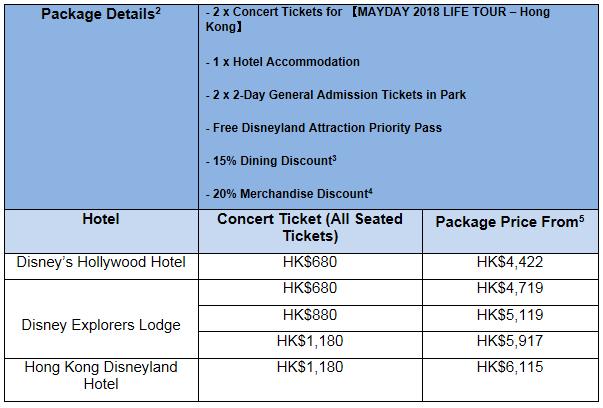 Fans joining【MAYDAY 2018 LIFE TOUR – Hong Kong】 can enjoy the extraordinary Disney fun at the same time! 1. Please refer to HKDL’s official website for package details and terms and conditions. The packages are limited in supply and are on offer while stock lasts. 2. The 2-Day General Admission Tickets are valid till May 31, 2018. 3. At Hotel Table Service Restaurants (except breakfast) or any Combo Meal purchase at Signature/Deluxe restaurants in Park. 4. Applicable to net spending of HK$400 or above in a single transaction at Park & Hotel Merchandise stores. 5. 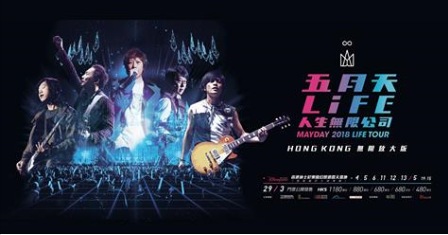 The price includes 10% service charge and the handling fee of HK$120 per concert ticket collected by the event organizer. Hong Kong Disneyland Resort - 3 avril 2018. 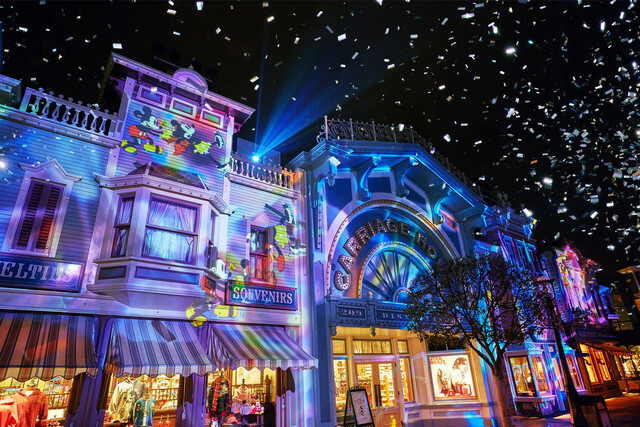 Oh ils ont le train des personnages Disney comme à Dlp qui est d’ailleurs superbement décoré et j’espère que le mapping vidéo arrivera aussi sur notre Main Street tellement ,c’est beau et modifiable pour chaque saisons . C’est vraiment un grand plus . 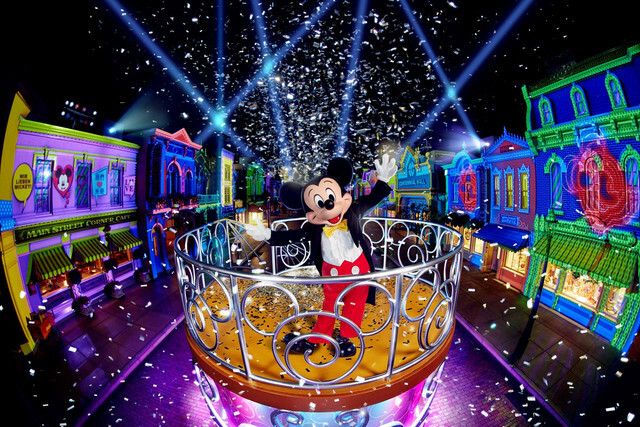 Ça avait été évoqué pour chez nous avec un nouveau Dreams incluant le show sur Main street aussi . En espérant qu’ils aient déjà étudié la faisabilité et les plans technique . 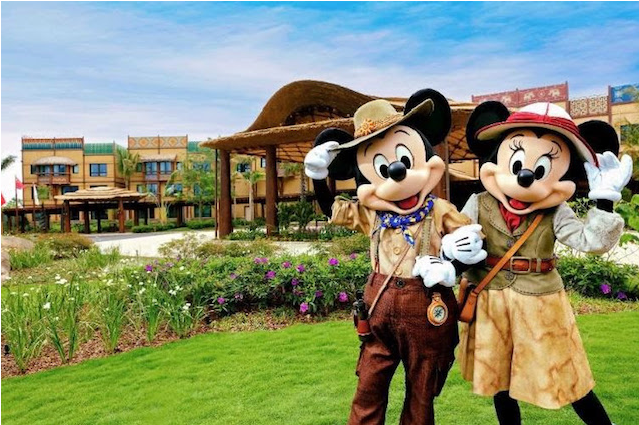 Hong Kong Disneyland Resort (HKDL) is launching exclusive offers for Hong Kong residents to celebrate the first anniversary of Disney Explorers Lodge. Special rates from HK$1,188 for a one night stay at any of the resort’s hotels are introduced exclusively to locals. The offers are available for booking between Apr 16 and Apr 29, and valid check-in dates are from May 1 to Jun 30^. 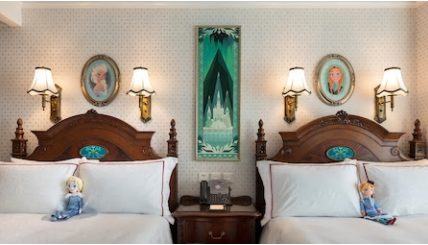 Bookings can be made on HKDL’s website https://www.hongkongdisneyland.com/offers-discounts/disney-explorers-lodge-first-anniversary-hkr/. Magic Access Members also enjoy an extra special discount of HK$100 per night via Magic Access Member Site! Hong Kong Disneyland Resort - 16 avril 2018. 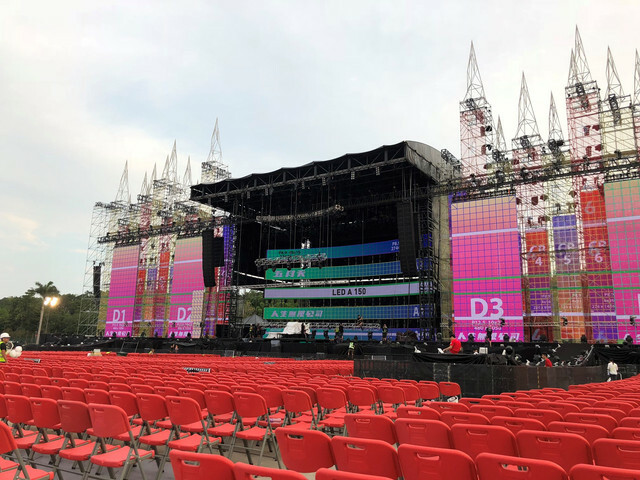 Hong Kong Disneyland Fantasy Road Outdoor Venue accueillera demain son premier concert sur une série de six programmés en ce mois de mai 2018 (voir messages du 3 & 4 avril 2018). Mickey et Minnie Mouse ont fait une apparition surprise au cours du premier concert du groupe taïwanais rock pop Mayday à Hong Kong Disneylandand Resort ! Monster, Ashin, Stone, Masa et Guan You se produiront six fois sur la scène de Hong Kong Disneyland Fantasy Road Outdoor Venue lors de la première quinzaine de ce mois de mai. Mayday est un des groupes taïwanais les plus populaires depuis sa création au milieu des années '90. 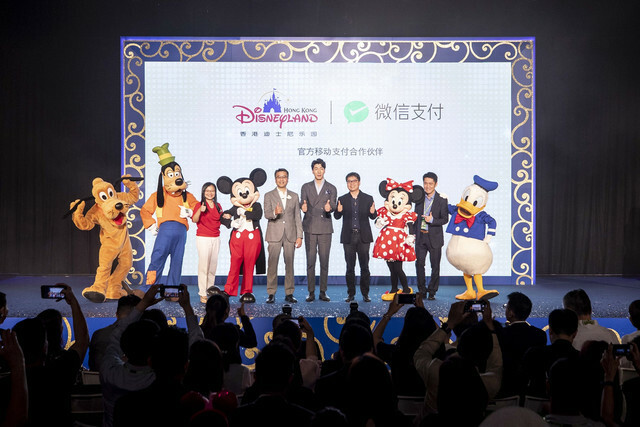 Samuel Lau (directeur général de Hong Kong Disneyland Resort) et Zhang Ying (Vice-Président de Tencent Holdings Ltd.) ont annoncé une collaboration qui permet dorénavant les payements à l'aide d'un téléphone portable par l'intermédiaire de l'application We ChatPay dans plus de 280 lieux à travers le resort. 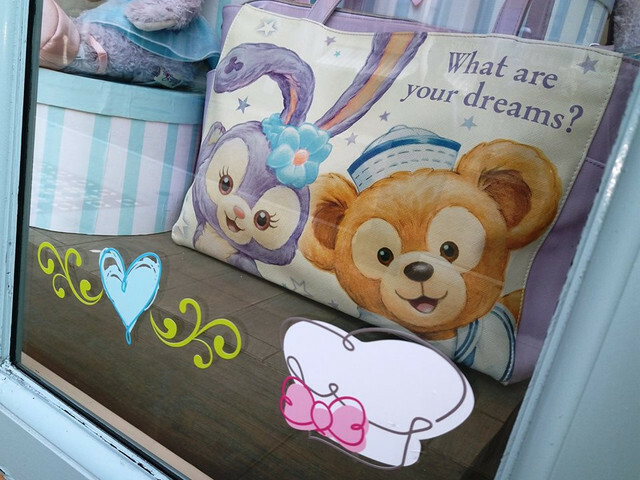 L'Univers de Duffy the Disney Bear va prochainement s'enrichir d'un nouveau personnage ! Après Duffy, Shellie-May, Gellatoni et Stella-Lou, Hong Kong Disneyland s'apprête en effet à accueillir cet été le nouvel ami de Duffy. Ce mystérieux nouveau personnage a laissé ses empreintes à Main Street U.S.A. et les indices qui les accompagnent nous conduisent tout droit derrière les fourneaux ! 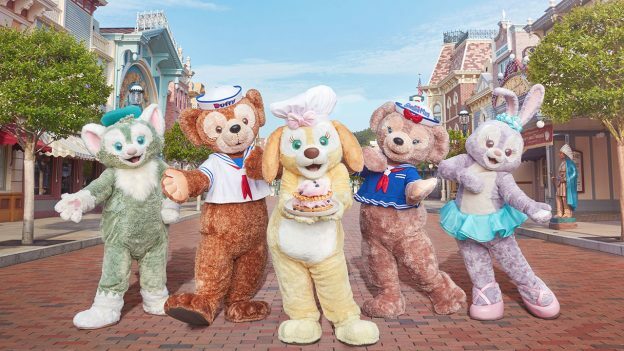 Le cinquième membre de la bande à Duffy sera présenté ce mardi 3 juillet après-midi à Hong Kong Disneyland lors d'un événement accueillant les gagnants d'un concours organisé en début d'année. Les premiers articles souvenirs inspirés de ce nouveau personnage seront également disponibles ce jour. L'invitation à l'événement de présentation du nouvel ami de Duffy the Disney Bear. C'est parti pour la saison estivale à Hong Kong Disneyland ! Carnivale of Stars – Make a Splash animée par de nombreux Personnages Disney, Pixar et la grande famille Duffy sont à découvrir jusqu'au 2 septembre. Your favorite Disney•Pixar pals will be rocking out the party, including Mr. Incredible, Mrs. 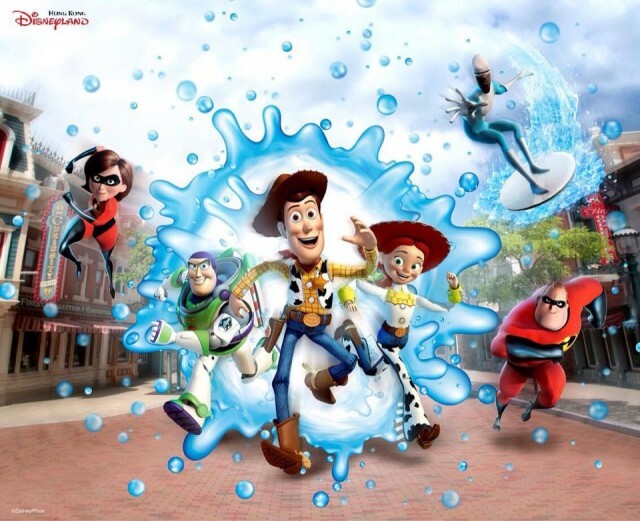 Incredible and Frozone from The Incredibles, as well as some of the beloved characters from Toy Story, such as Woody, Buzz Lightyear, Jessie, Lotso and a platoon of Green Army Men. 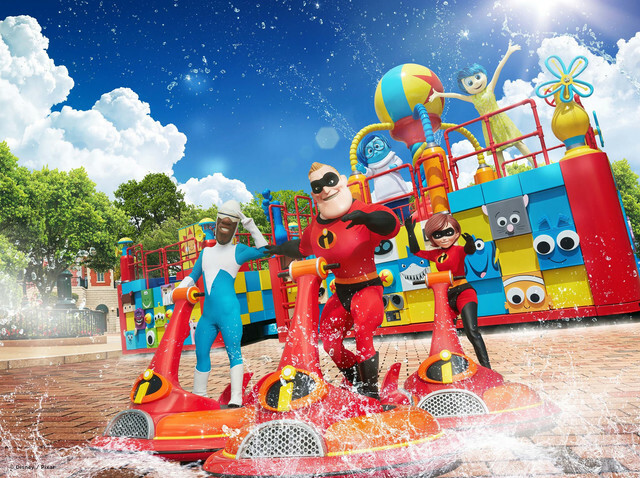 Together with Joy and Sadness from Inside Out and Russell and Dug from Up, they will join 30 performers as guests soak up the fun during a cool, water-filled celebration along the parade route. It’s a dazzling party you won’t want to miss! 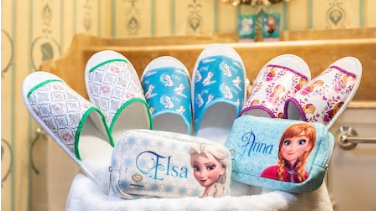 Gear up for the biggest summer party at HKDL with more than 100 summer gift options! Grab fans, towels, mist sprayers and other cool items as you join in the fun. 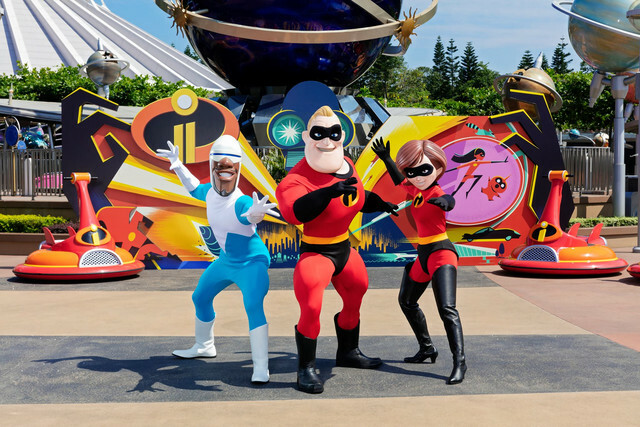 A wide variety of Disney and Disney•Pixar-themed collectibles are available for guests, including the all-new huge plush collections based on The Incredibles and Moana, as well as Duffy and friends in their latest colorful costumes. It’s the best way to bring the adventure home after a fun summer day at HKDL! 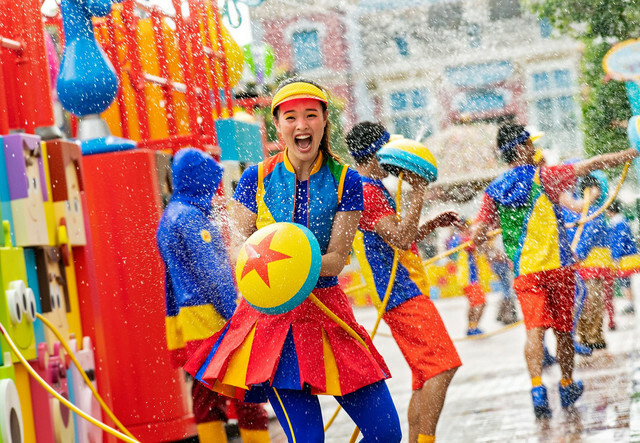 This summer, Hong Kong residents can enjoy exclusive family offers to make a splash and chill out with your loved ones at the “Carnivale of Stars”! Now through September 2, Hong Kong residents can extend the summer fun with two days for the price of a one-day ticket^. 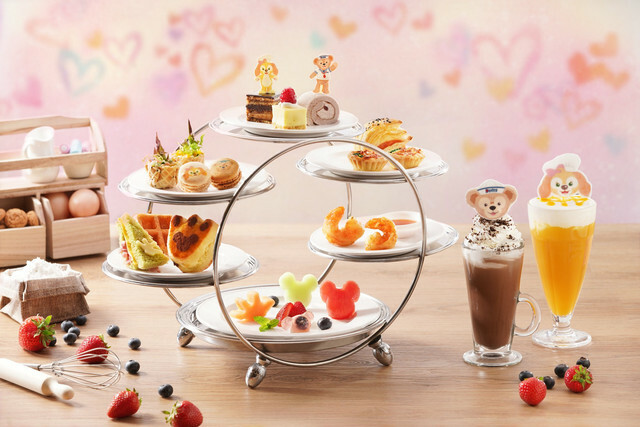 Families can cool off together with a group of three for just HK$1,488#. 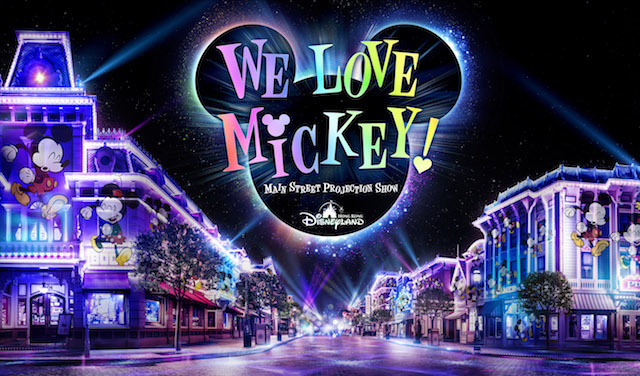 For more details, please go to https://hkdl.hk/summerticketoffer. 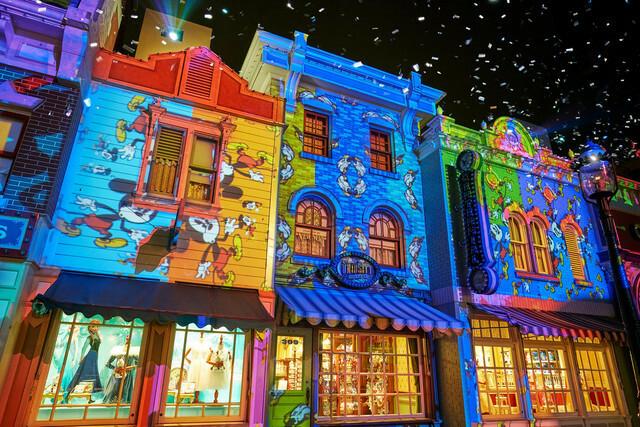 Hong Kong residents can book now until July 2 for a 2-day-1-night stay at Disney’s Hollywood Hotel or Disney Explorers Lodge, starting from a special rate at HK$2,399*, which includes two adult park tickets for admission after 4pm. 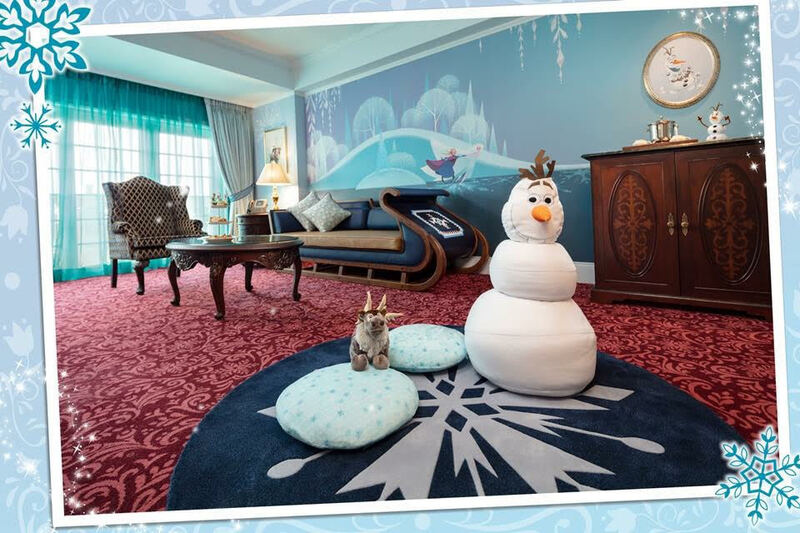 Plan your summer staycation now – this summer at HKDL is one you do not want to miss! 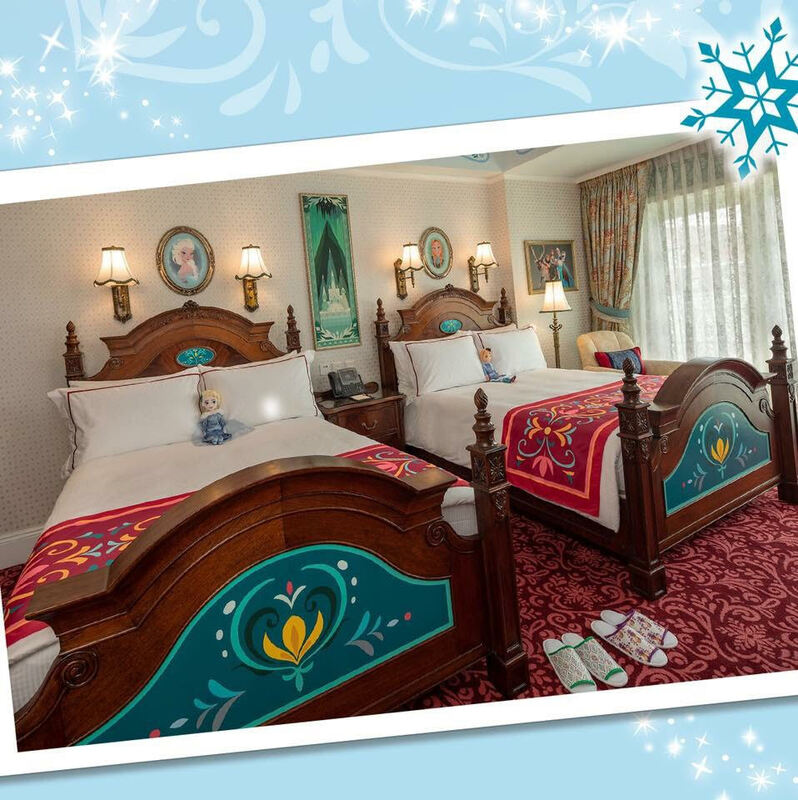 For more details, please go to https://hkdl.hk/summerhoteloffer. 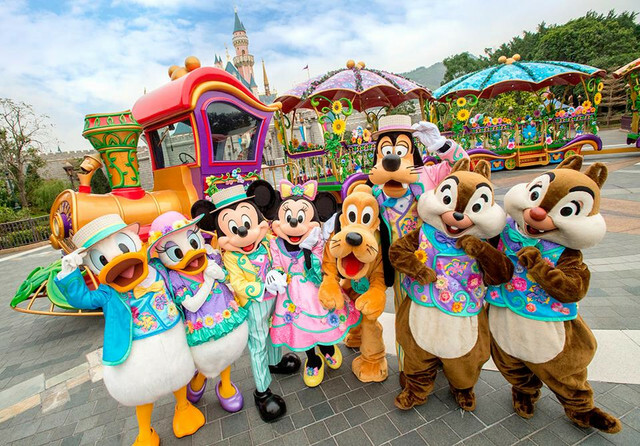 ^The offer only available for the purchase of at least one 1-Day General Admission Ticket and one 1-Day Child Ticket or up to four 1-Day General Admission Tickets and four 1-Day Child Tickets in one single transaction at Hong Kong Disneyland website and are not applicable to any other ticket quantity or ticket types. 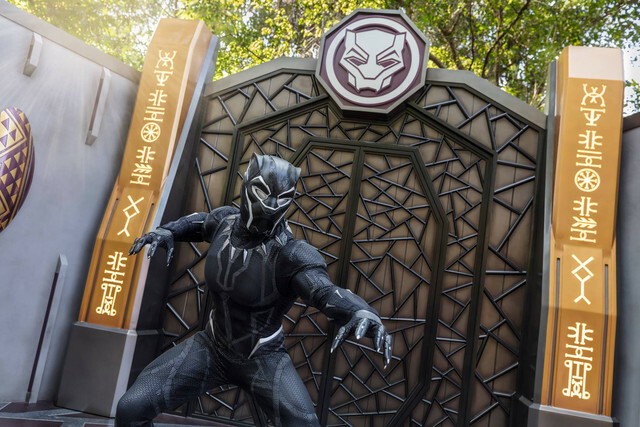 Within the offer period, eligible guests (Hong Kong Residents with identity proof) holding the offer tickets may make two visits to the park during a 7 consecutive days’ period. 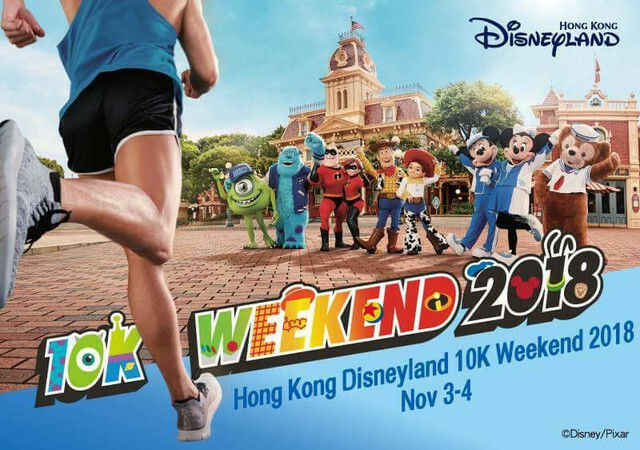 #Limited to Hong Kong residents only for the purchase of two 1-Day General Admission Tickets and one 1-Day Child Ticket in one single transaction at Hong Kong Disneyland website during offer period. *This offer is valid for standard rooms with check-in dates from June 24 to September 2, 2018. Hong Kong Disneyland Resort - 21 juin 2018. Le nouvel ami de Duffy est une chienne se nommant Cookie ! 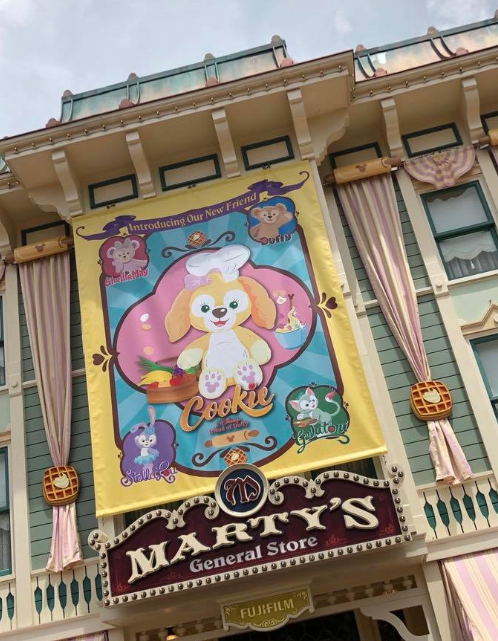 Cookie a été officiellement présentée aujourdui à Hong Kong Disneyland en présence de trois cents fans de la franchise Duffy the Disney Bear ! Il est possible de rencontrer Cookie au point photo situé dans Main Street Cinema. Le restaurant Main Street Corner Café hosted by Coca-Cola® propose des boissons et de délicieux en-cas inspirés par la nouvelle amie de Duffy, ainsi qu'un pin en série limitée. Une nouvelle collection d'articles souvenirs est disponible dans la boutique Marty’s General Store et à Main Street Cinema. 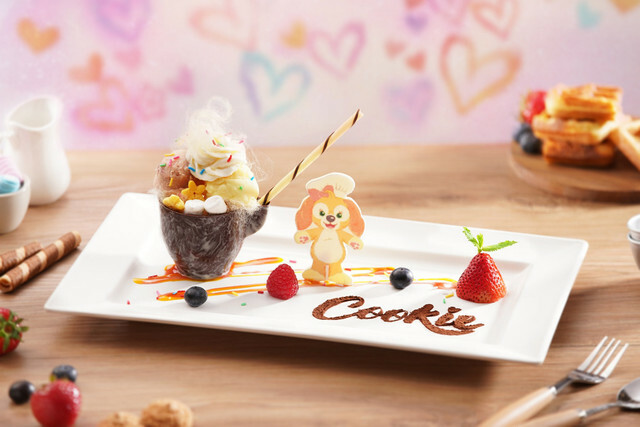 At a special welcome party in the park, Hong Kong Disneyland Resort (HKDL) today proudly introduced a new Disney character named Cookie, the newest friend of Duffy. More than three hundreds fans from all around the world cheered in excitement as they meet this adorable new friend of Duffy at her global debut at HKDL. 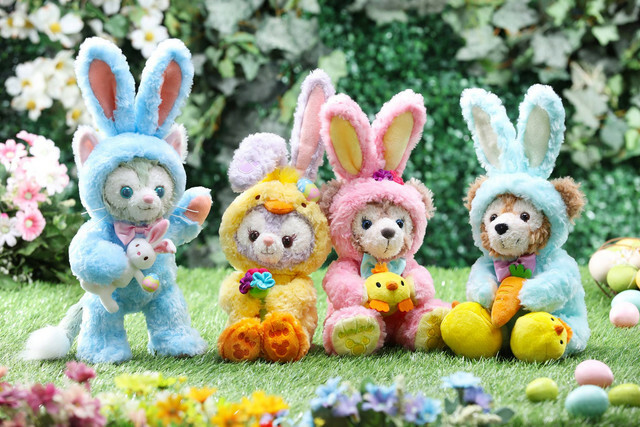 To celebrate the debut of Cookie, HKDL will be introducing over 50 Cookie merchandise items this year, including the fans-must-have plush toys, limited edition pins, accessories, headwears, stationeries, housewares and apparels, all of which are exclusive to HKDL. 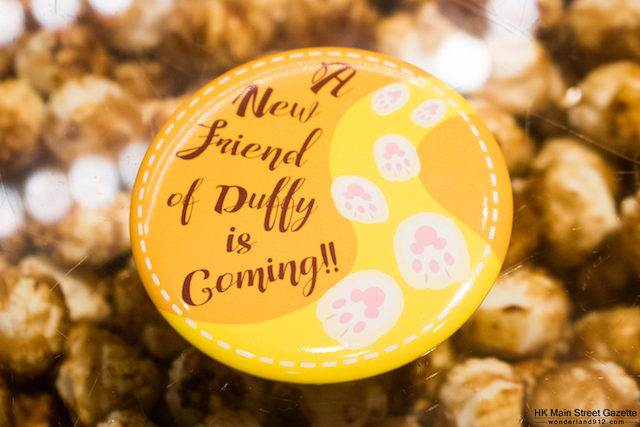 More Duffy and Friends merchandise items are on the way throughout the year to ensure fans can bring home lots of Duffy goodies! In July, a new set of Cookie-themed Magical Coin Press will soon be available in “Main Street Cinema: My Journeys with Duffy”. Cookie loves to come up with different food combinations and share them with friends. 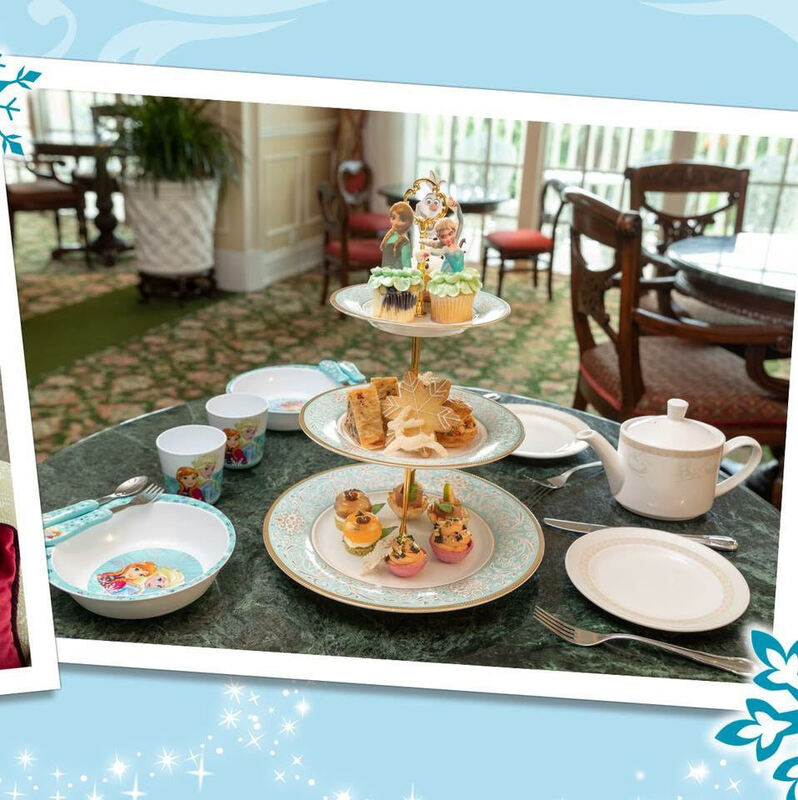 Inspired by her love of food, HKDL will be launching about 30 food and beverage items in the park and the three resort hotels from today onwards, including “Cookie’s Afternoon Tea Set,” “Cookie’s Mango Lagoon” and “Cookie’s Choco Cup,” available at the Main Street Corner Cafe Hosted by Coca-Cola®. 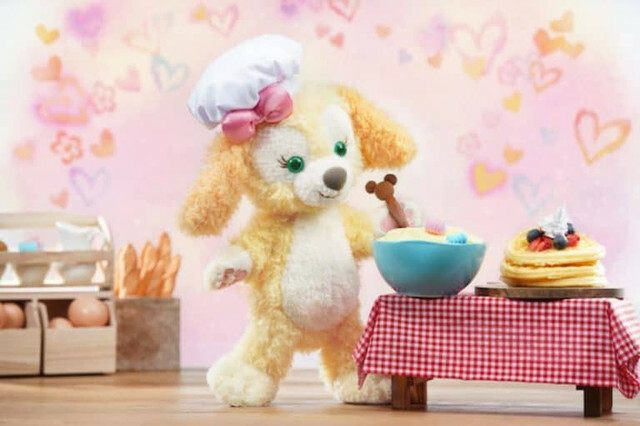 Other Cookie-themed delicacies, include “Cookie’s Cheese Cake,” “Cookie Blueberry Cupcake” and a range of desserts with adorable images of Cookie, such as a Vanilla Almond Cookie. 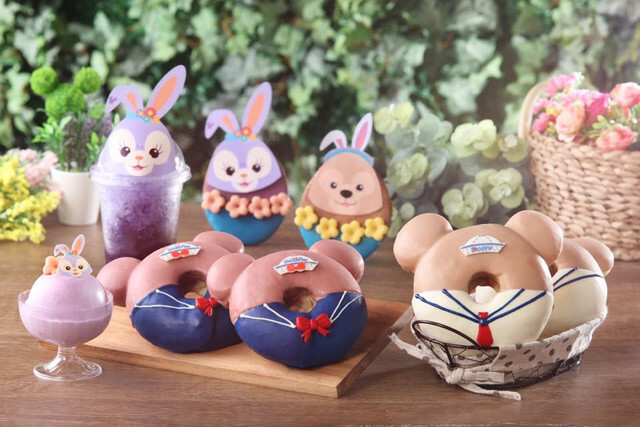 These are all one-of-a-kind desserts at HKDL inspired by Cookie! 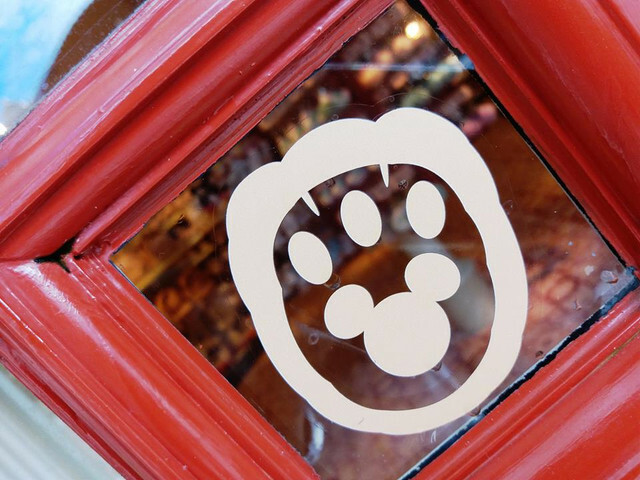 Do not miss the exclusive “Chef Mickey Family Day” Dinner Buffet with Disney Friend Cookies Decoration available only on weekends at Disney’s Hollywood Hotel. 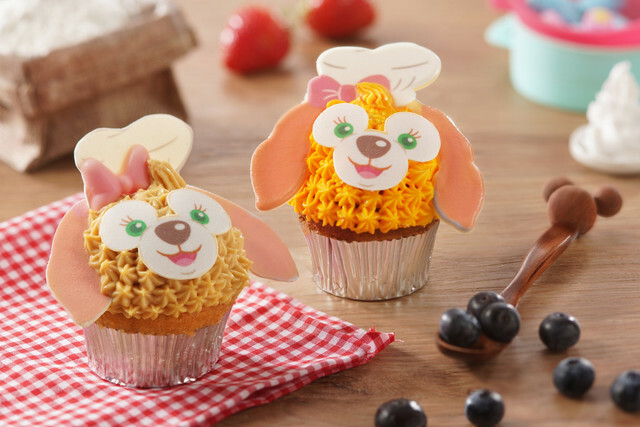 The kids will make Cookie and Duffy and Friends-themed desserts during the activity session, unleashing their cooking talent and creativity! 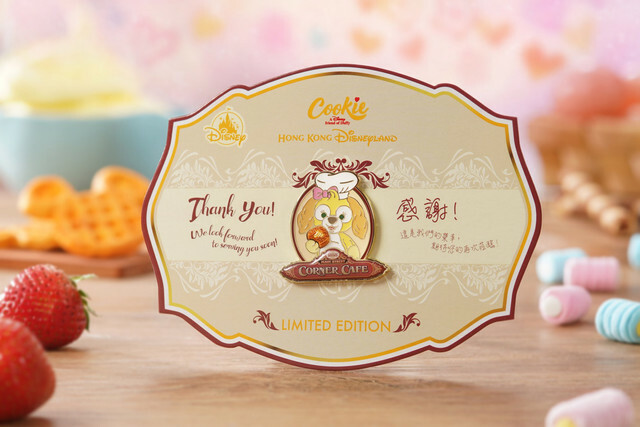 To welcome Cookie to the HKDL family, special commerative stickers will be available for guests from July 3. 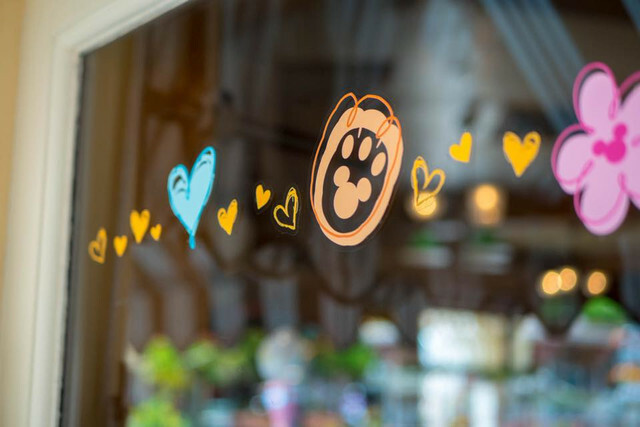 In August, guests can also learn how to draw Cookie in a guided presentation with a Disney animator at Animation Academy. 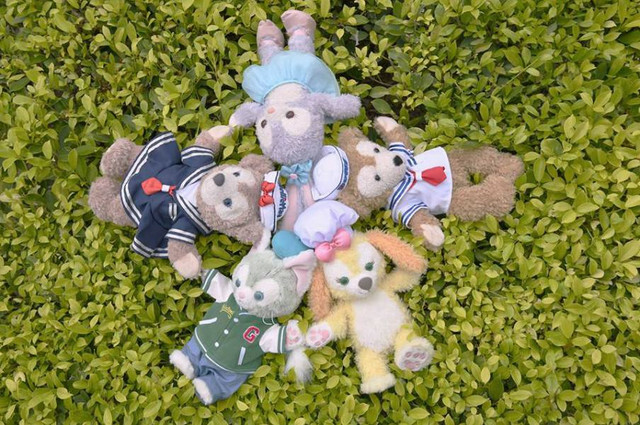 Duffy and his friends are loved worldwide. Duffy first arrived at HKDL in 2010 and was joined by ShellieMay in 2014. 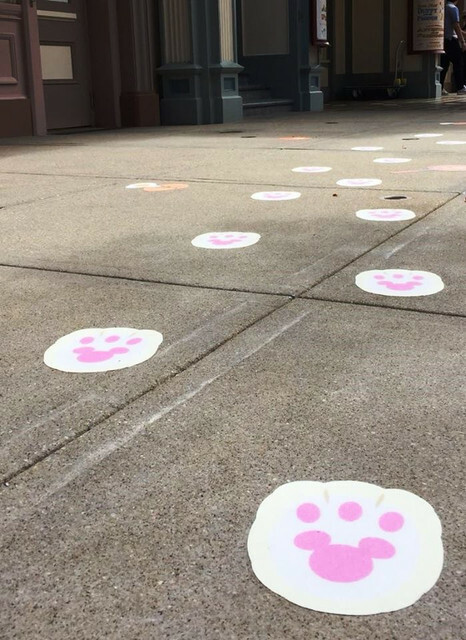 They were joined by the adorable artist cat Gelatoni in 2016 and the lavender-colored bunny dancer StellaLou in 2017. 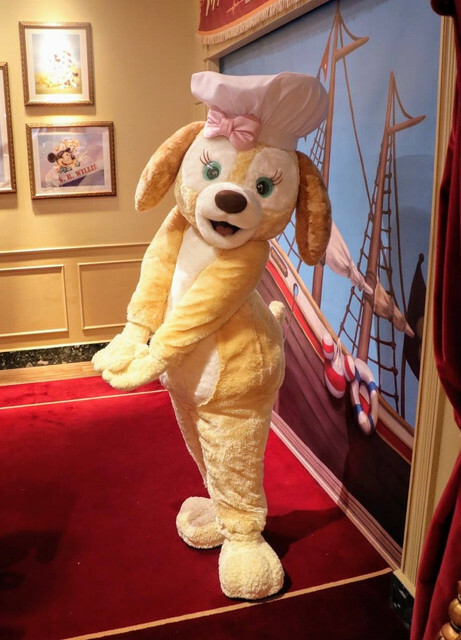 Cookie is the first friend of Duffy that debuted at HKDL! 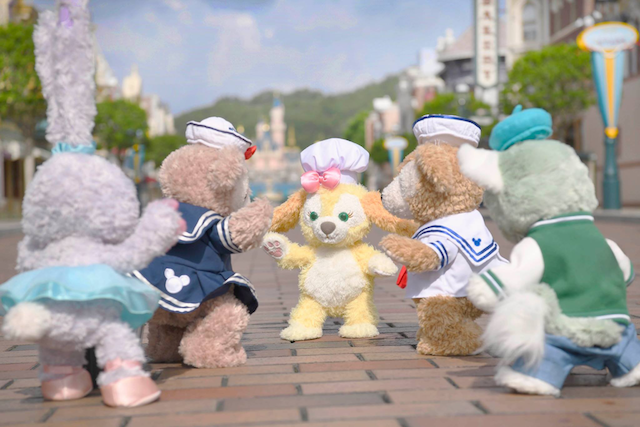 This summer, Hong Kong residents can enjoy exclusive family offers to chill out with your loved ones at the “Carnivale of Stars,” meeting the newest friend of Duffy – Cookie! Now through September 2, Hong Kong residents can extend the summer fun with two days for the price of a one-day ticket^. 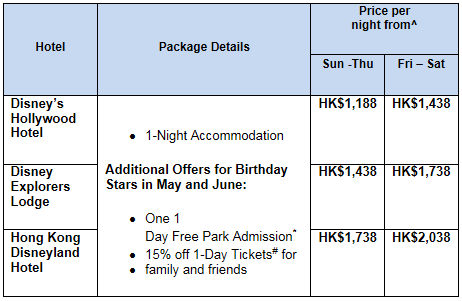 Families can also enjoy a group of three offer for just HK$1,488#. For more details, please go to https://hkdl.hk/summerticketoffer. Hong Kong Disneyland Resort - 3 juillet 2018. C'est juste incroyable de constater le nombre de japonais ayant fait le déplacement JUSTE pour un simple character ! 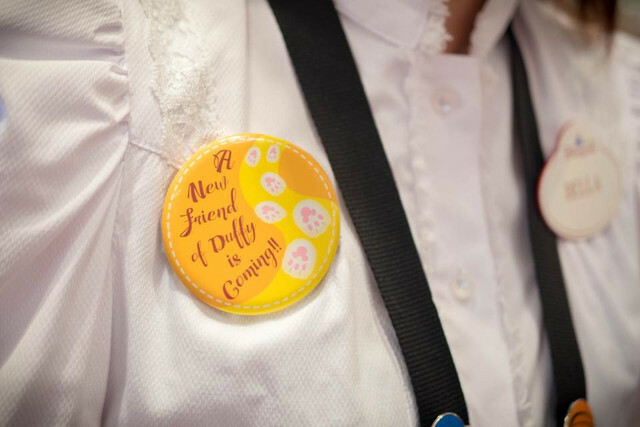 La gamme Duffy & Friends est discutable sur de nombreux points, mais en tout cas pas sur sa force marketing, pratiquement aussi efficace qu'une nouvelle attraction ! Cette suite Frozen laisse rêveur, si j'avais les moyens j'y séjournerai volontiers. La décoration est impressionnante tout en restant vraiment sobre et élégant. C'est un beau cadeau pour les fans de La Reine des Neiges. 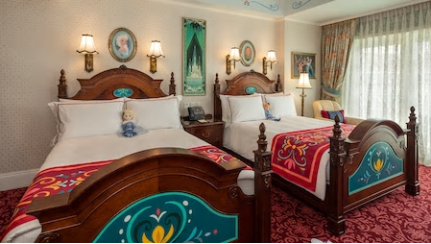 Ces nouvelles suites sont situées au septième étage de l'hôtel, l'étage du Kingdom Club du Hong Kong Disneyland Hotel (l'équivalent local du Castle Club). Certaines Kingdom Club Frozen Suites ont vue sur la mer, d'autres ont vue sur les jardins de l'hôtel. 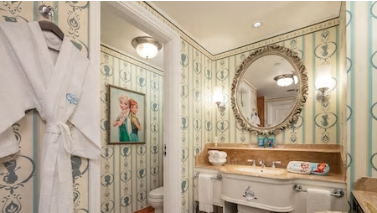 Outre la décoration des suites, certaines commodités sont également thématisées comme la clef de la chambre, la signalisation de porte, les pochettes cosmétiques, les chaussons, des en-cas sucrés (disposés dans la suite à l'arrivée) et le service à thé (prestation incluse pour deux personnes en après-midi au salon du Kingdom Club).